Mormon women were encouraged to strengthen their personal connections and develop a charitable attitude toward others Saturday during The Church of Jesus Christ of Latter-day Saints’ General Relief Society Conference. 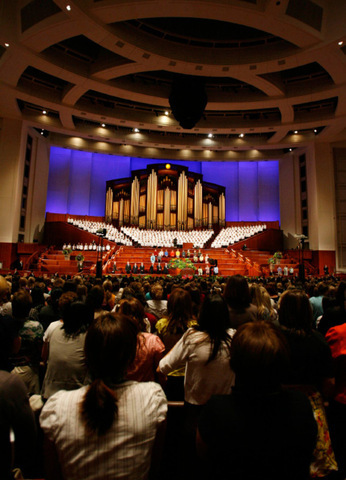 Nearly 20,000 women gathered at the church’s Conference Center in downtown Salt Lake City for the inspirational talks, while thousands more listened to broadcasts delivered in 82 languages to more than 175 countries, nations and territories. 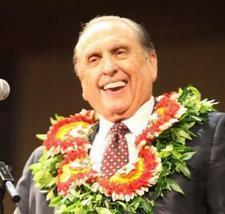 LDS Church President Thomas S. Monson wove warm, folksy stories through his talk about the dangers of passing judgment on others. One was a personal story of how his wife, Frances, met with grumbling when she was seated among board members at a General Conference 47 years ago — before his name was presented at the session as the newest member of the Quorum of the Twelve Apostles. There were no hard feelings, he said to laughter.